Clubs are the ideal location of digital signage displays. Whether a single screen for a small club or a range of screens for large clubs, the Command digital signage systems are a reliable and high quality solution. For Pubs needing easy to manage entertainment and information displays, a digital signage system is ideal for managed content and the easy playback of information. Casinos can include a large variety of screens for different requirements, a fully managed and reliable digital signage system producing quality output is our speciality. Wayfinding - for the large clubs and casinos where directional information will get your guests to their location on time. 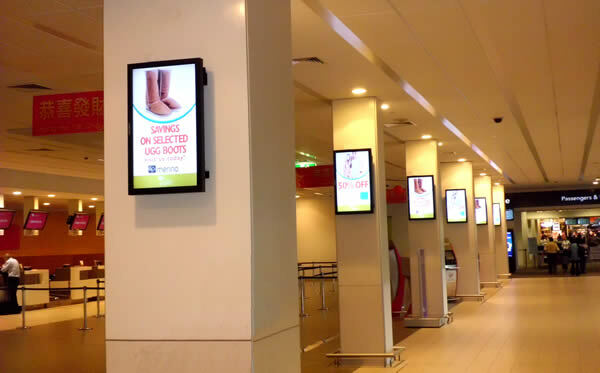 Command's Navori digital signage systems controls a single screen to hundreds of screens and can include images, movies, web sites and streaming video. The quality playback can be distributed throughout your club, pub and casinos through our extenders products. Special features can be added to our systems when special content activation is required. Contact Command for more information and options suitable for your location and requirements.